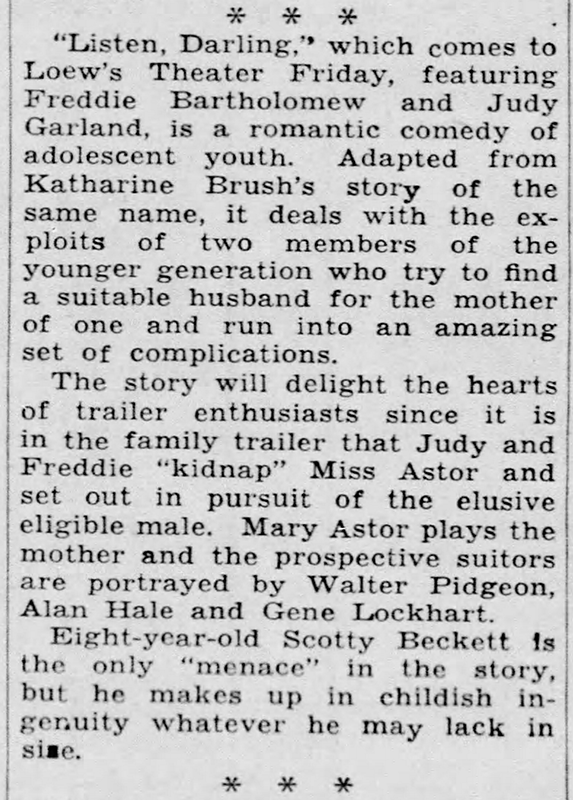 Mid-October 1935: Judy’s father, Frank Gumm (above left), wrote to an old family friend, John Perkins of Lancaster, CA (where the family had lived), and mentioned Judy’s recent signing by MGM plus two proposed projects (see below). 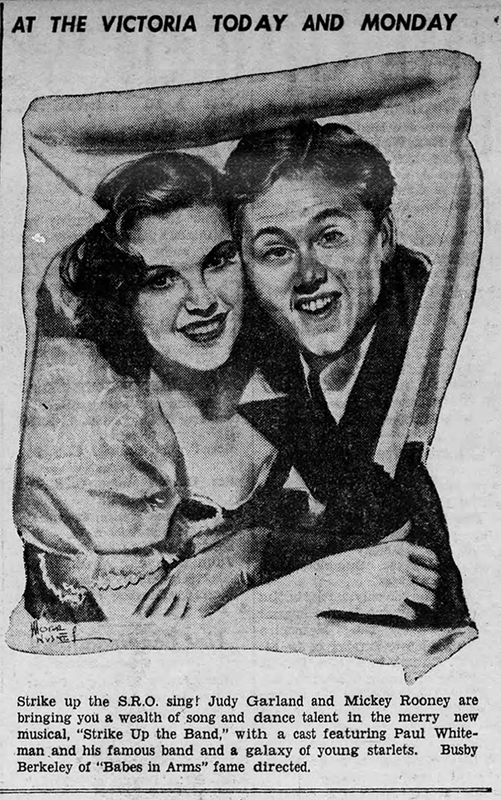 The newspaper notice above was published on this date (October 19, 1935). Babe got her seven-year contract with M.G.M. 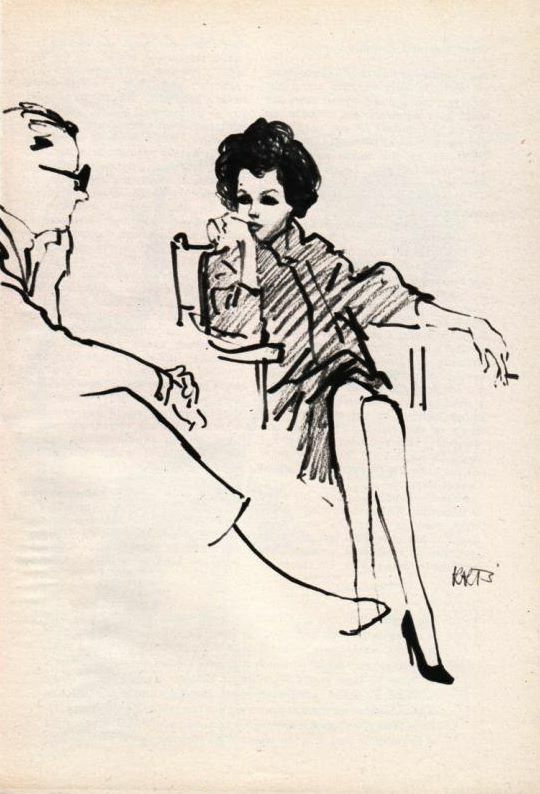 and it started October 1 at $150 per week and the last year she gets $1,000 a week as the salary advances every six months; a very attractive deal. 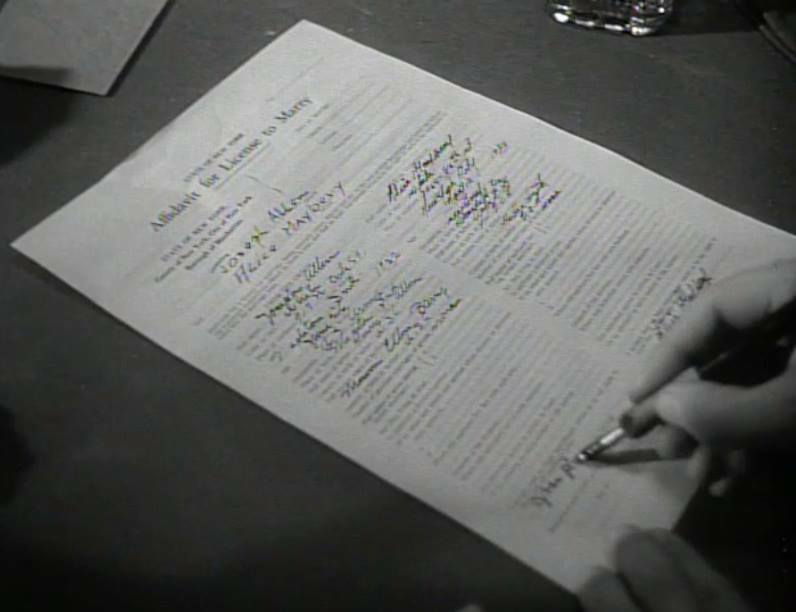 Of course, its all on six months’ options and she has to make good or they have the privilege of letting her go at the end of each six months’ period . 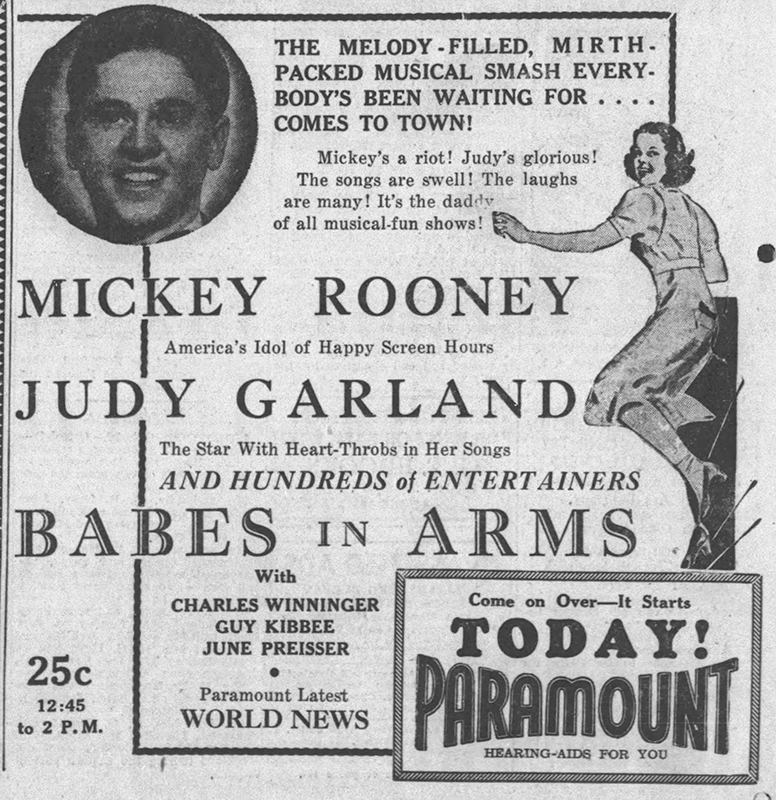 . . She is set for the first six months though and her first picture will probably be ‘This time It’s Love’ in which Robert Montgomery and Jessie Matthews will be the stars and baby plays opposite Buddie Ebson (sic) a 6 foot 2 comedian that made a big hit with his sister in the new ‘Broadway Melody of 1936.’ The picture goes into production in January next to be released about next April. 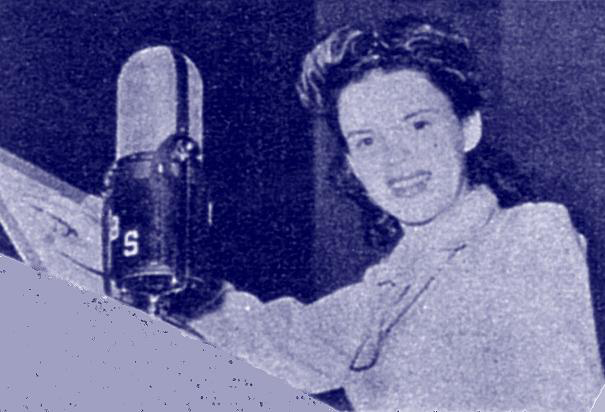 Babe, or ‘Judy’ as she is now called, will broadcast Saturday night, October 19 with Wallace Beery on the Shell Chateau hour from 6:30 to 7:30 P.M.
“This Time It’s Love” never happened but the radio appearance did – postponed by one week. 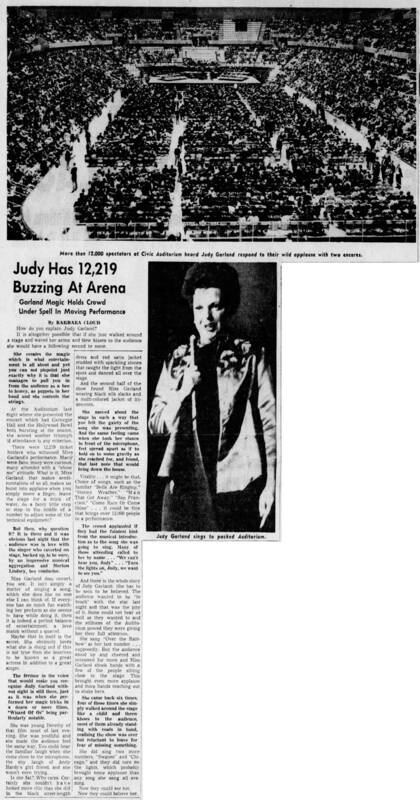 At this point, Judy had only been given one assignment by MGM, singing between halves at the University of South California Football Game at the Lost Angeles Coliseum the same week as Frank’s letter (probably on October 12th). Judy sang “Fight on for Good Old USC.” She was halfway through the song when the home team raced out on the field, drowning out her voice and forcing her to stop mid-song! Other sources note that this took place on September 30th at USC, not the L.A. Coliseum however that probably isn’t correct as Judy’s first day of work was on October 1st, she wouldn’t have been allowed to work prior to the beginning of her contract. 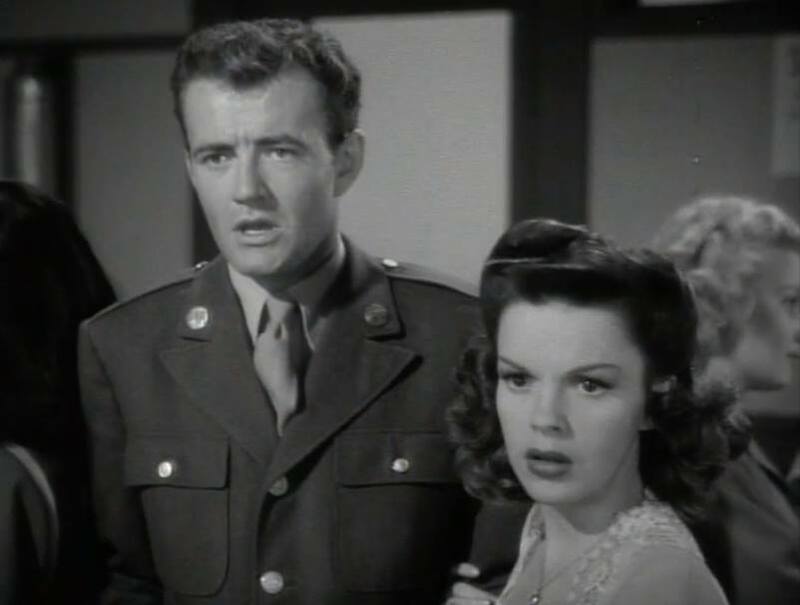 Check out The Judy Room’s “Films That Got Away” pages for details about the various projects that Judy was allegedly considered for that never happened. 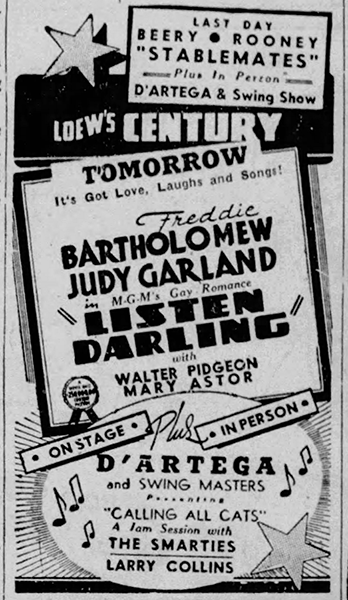 October 19, 1938: Listen, Darling was opening in theaters around the country. 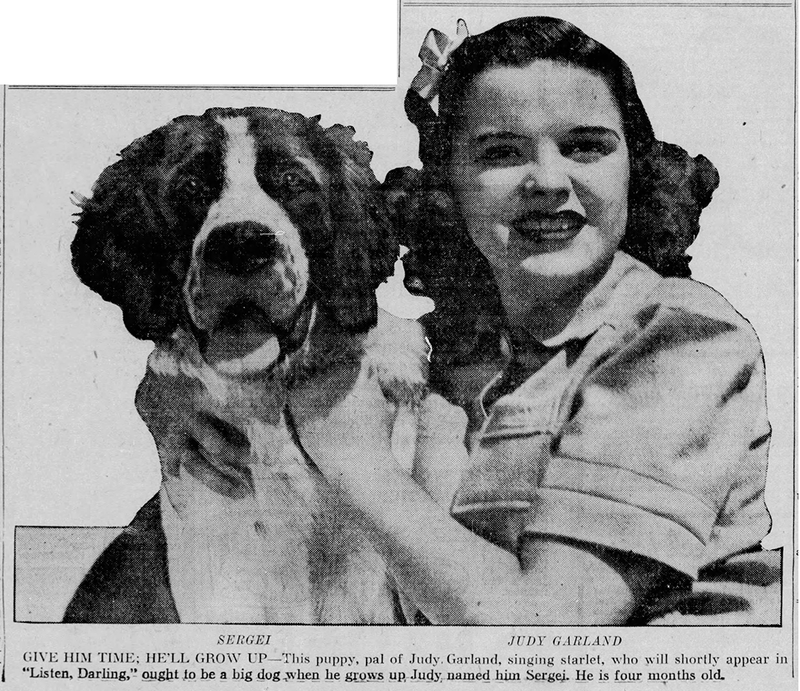 October 19, 1938: Judy and her dog, Sergei. 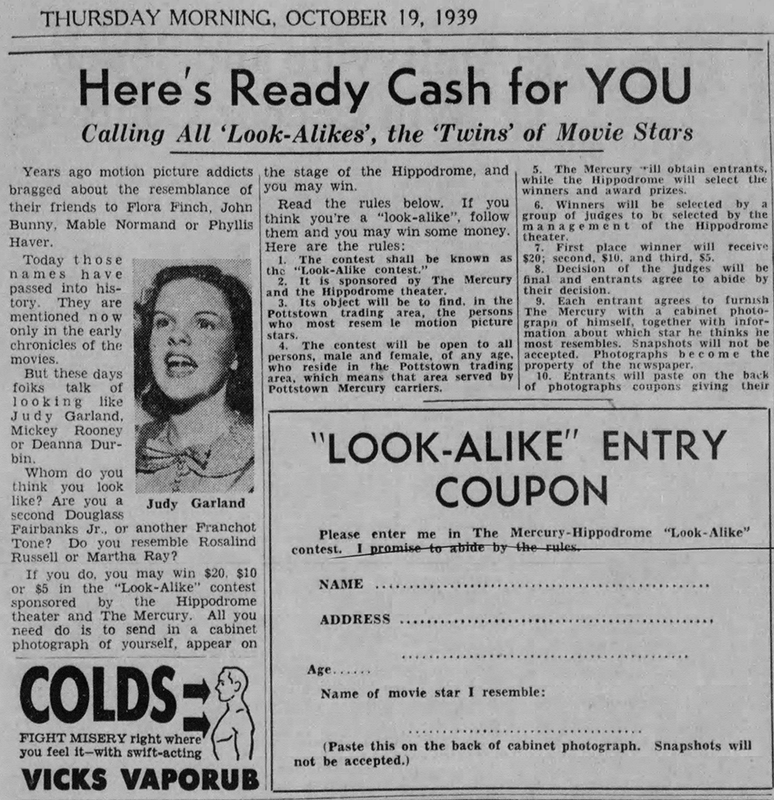 October 19, 1939: Here’s a look-alike contest out of Pottstown, Pennsylvania. 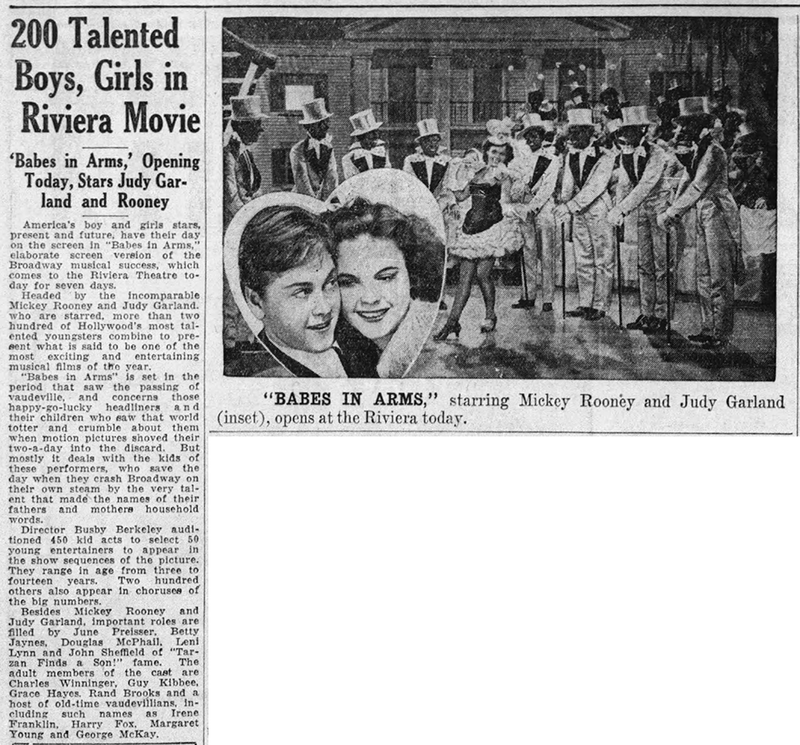 October 19, 1939: Judy and Mickey Rooney were all over the papers due to MGM’s promotion of Babes In Arms and deservedly so. 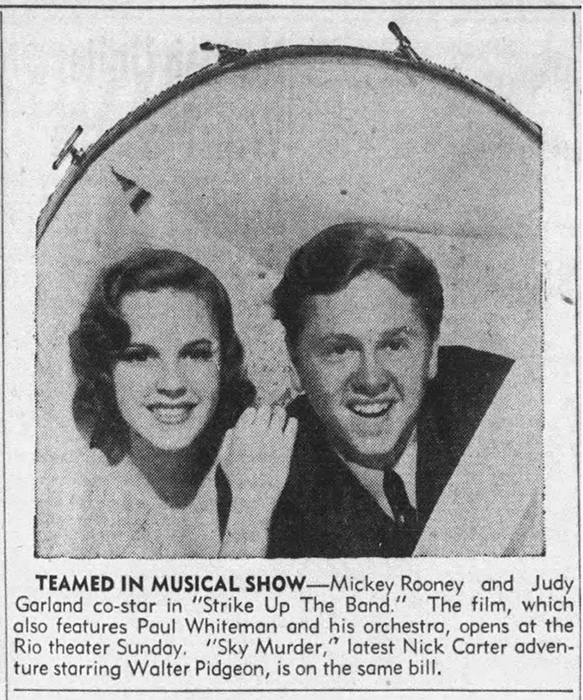 They were the hot new musical duo of the movies. 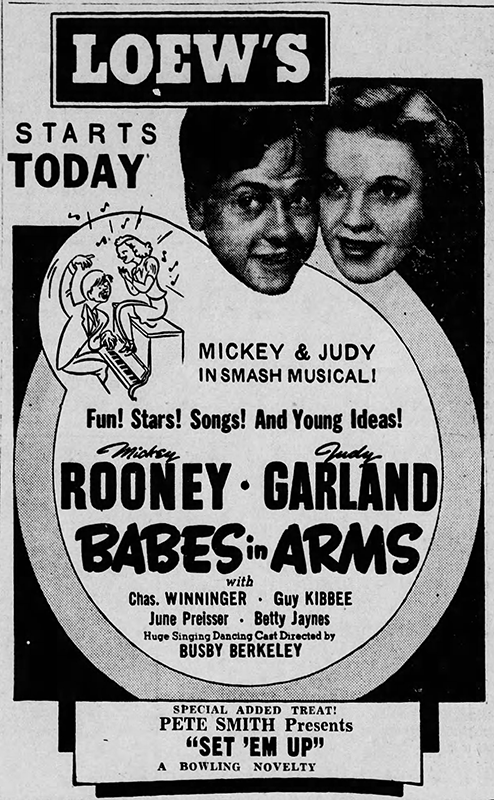 October 19, 1939: More Babes in Arms ads and a review. 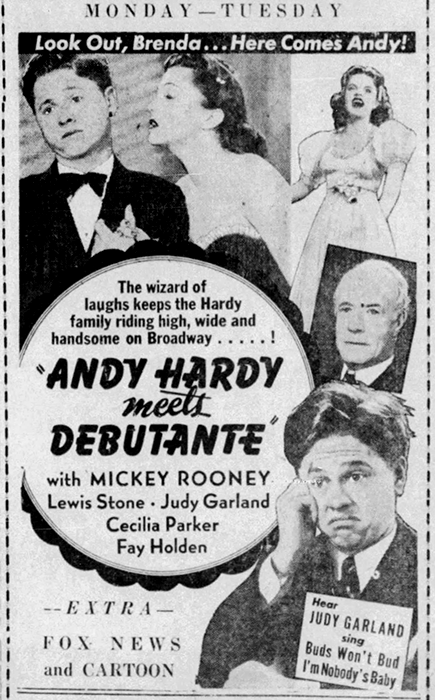 The film received raves from critics and audiences alike. 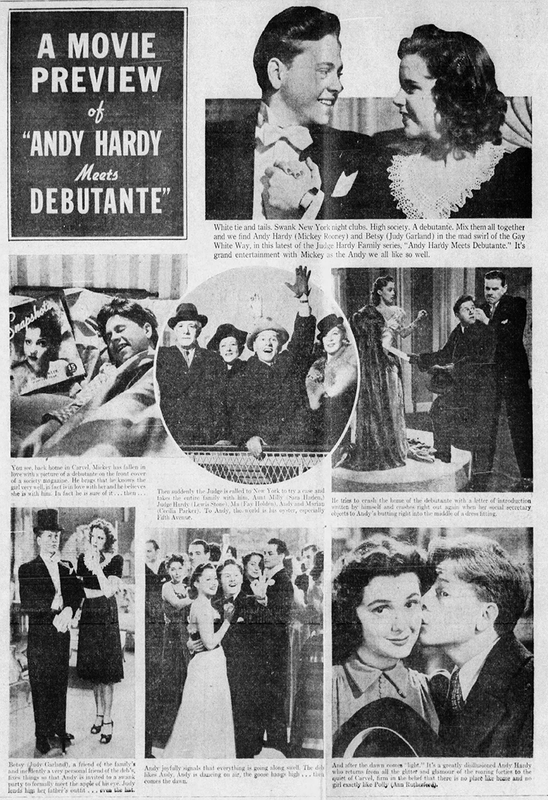 October 19, 1940: Judy had two films in circulation, Andy Hardy Meets Debutante and Strike Up The Band. 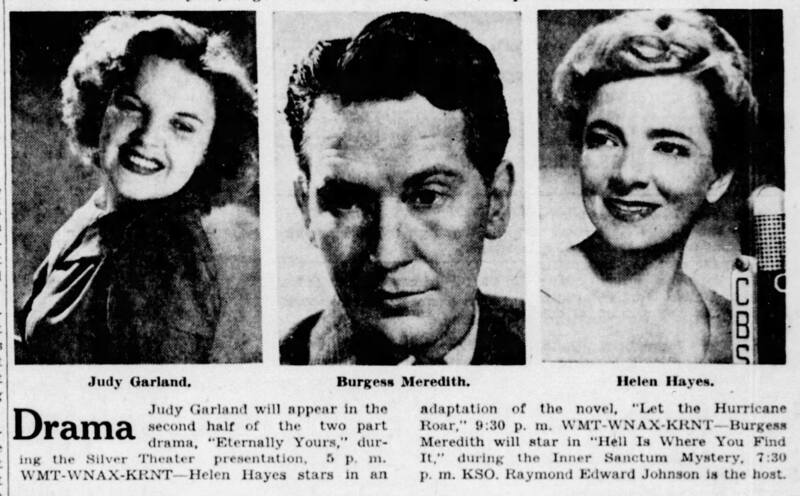 October 19, 1941: Judy appeared in the second (and final) half of the play “Eternally Yours” as adapted for radio, on CBS Radio’s 30-minute show “Silver Theater.” Judy had performed the first half of the play a week prior on October 12th. 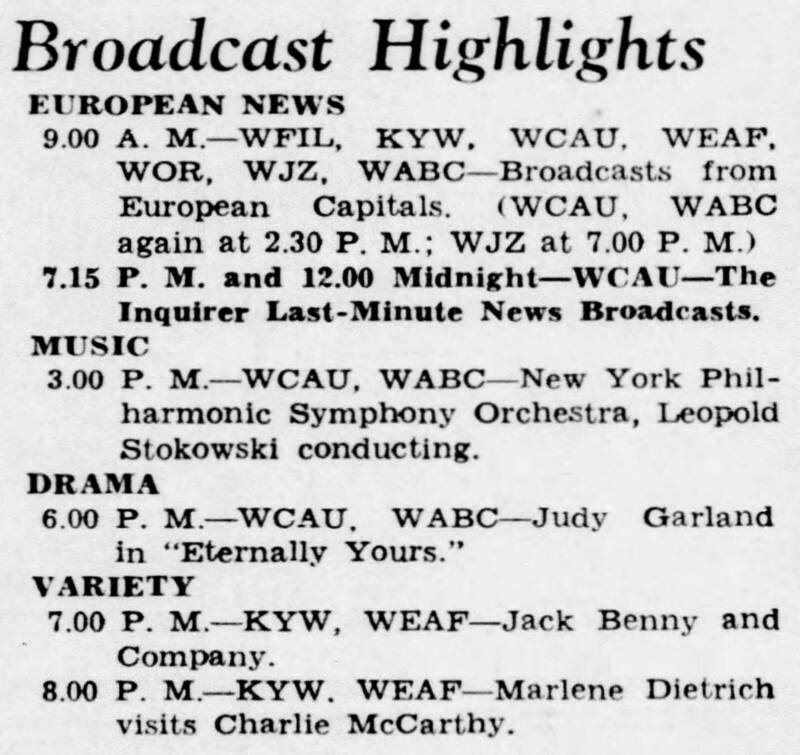 Check out that day’s entry for audio from the show. 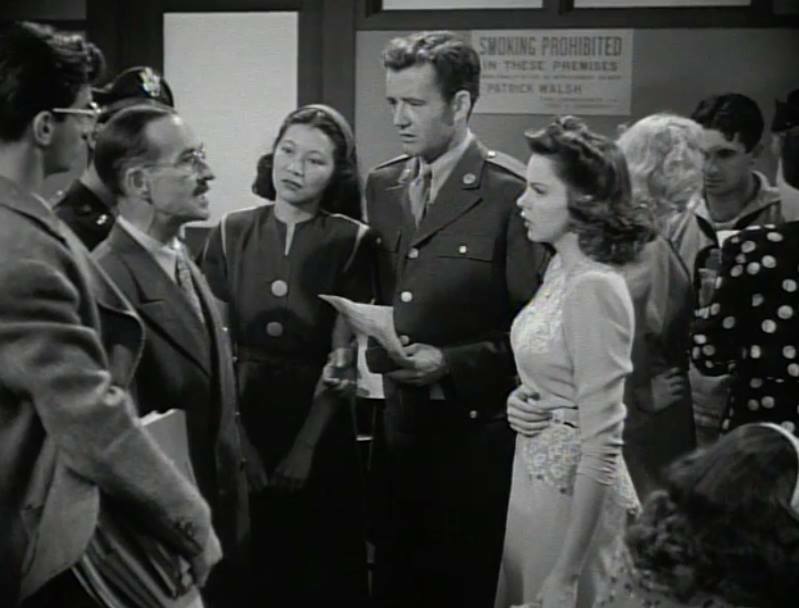 October 19, 1944: The Clock filming continued with scenes shot on the “Interior Marriage License Bureau” set. 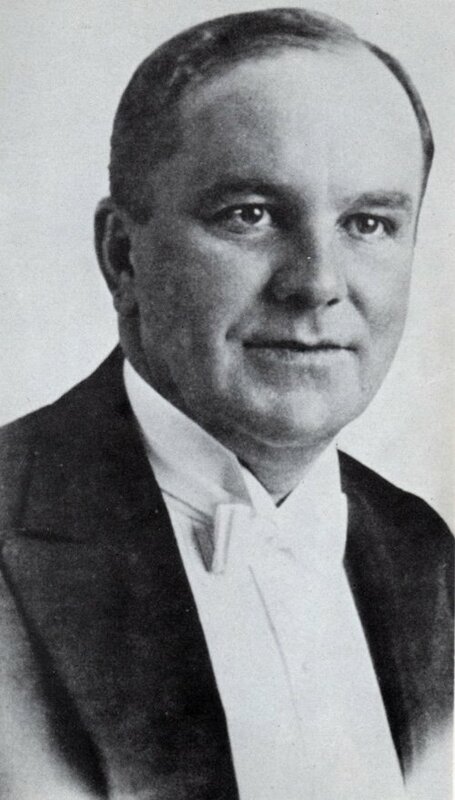 Time called: 10 a.m.; dismissed: 6 p.m.
October 19, 1945: Another rehearsal of “Who?” for Till The Clouds Roll By. 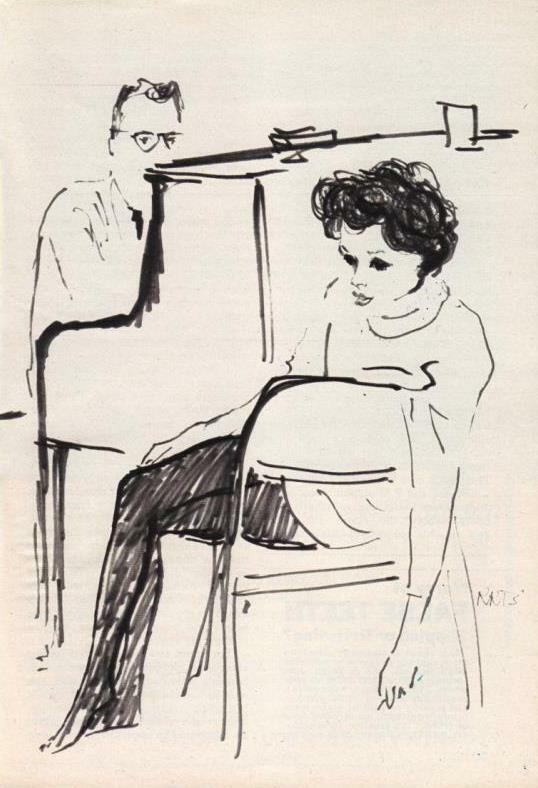 The rehearsal was a short one, taking place from 1:50 to 2:30 p.m.
October 19, 1954: This one-page article about A Star Is Born appeared in the “Billed Bladet” magazine. 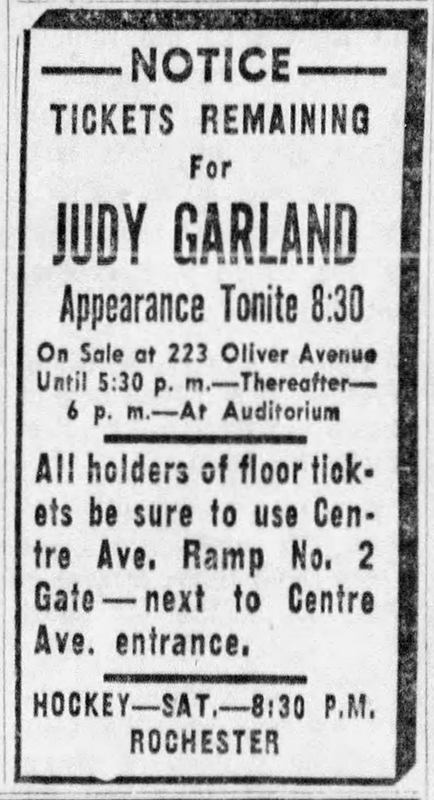 October 19, 1961: Judy was in concert at Judy’s at Pittsburgh’s Civic Auditorium. 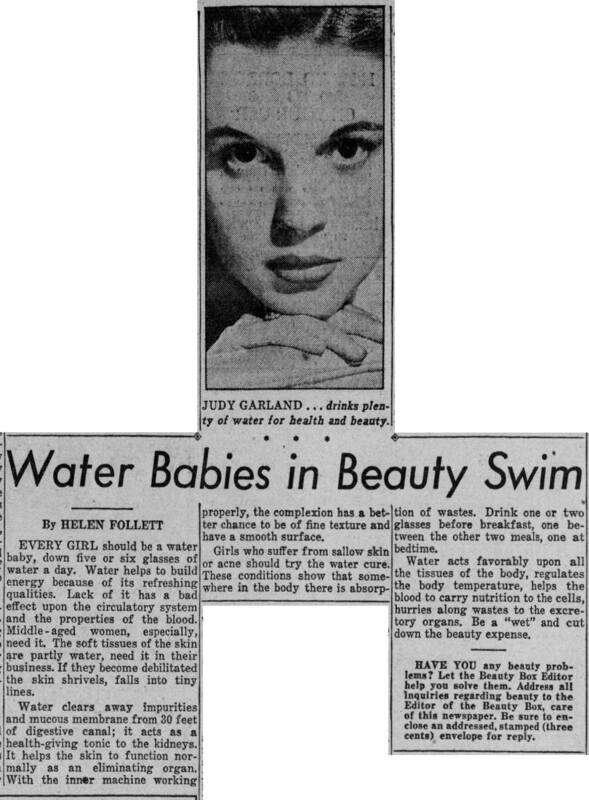 Here is a review of her show that was published the next day by the Pittsburgh Press. 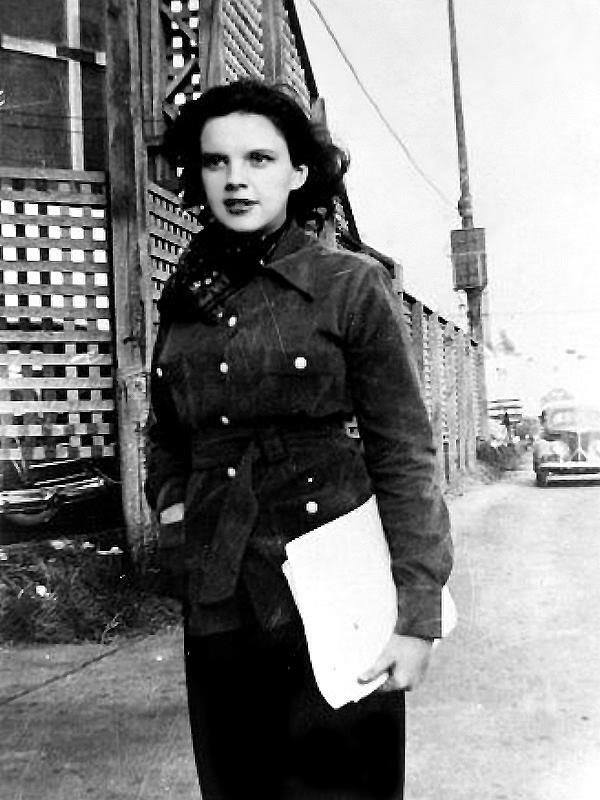 The rumor in the voice that would make you recognize Judy Garland without sight is still there, just as it was Shen she performed her magic tricks in a dozen or more films, “Wizard Of Oz” being particularly notable. 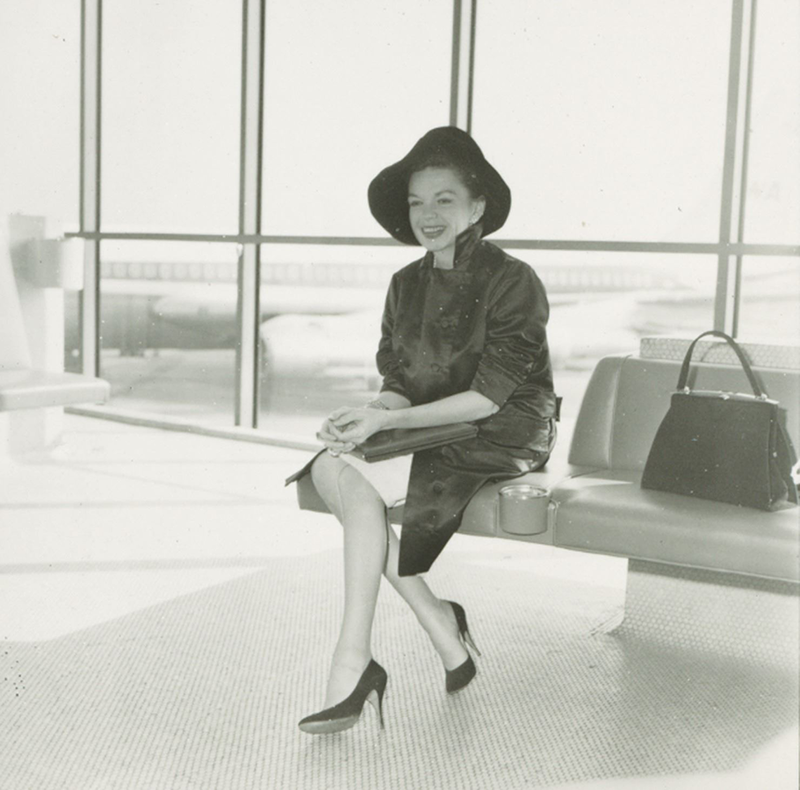 And the second half of the show found Miss Garland wearing black silk slacks and a multi-colored jacket of iridescence. 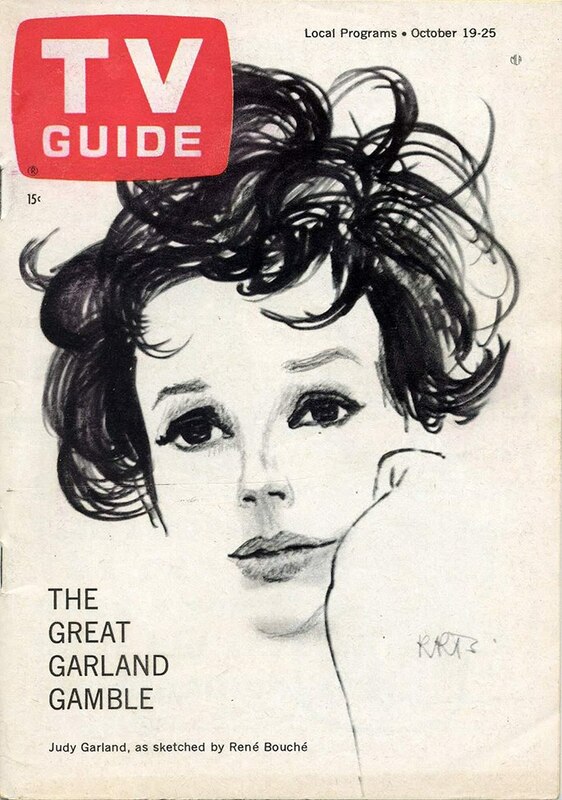 October 19, 1963: Judy appeared on the cover of the October 19-25 issue of “TV Guide.” Inside are these great Rene Bouche sketches of Judy. 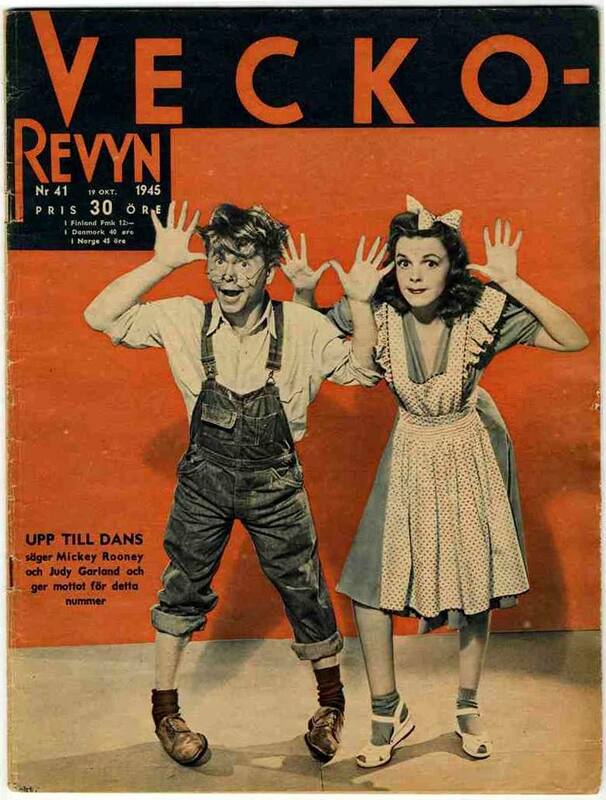 Judy made the cover due to the cover article about her upcoming TV series. 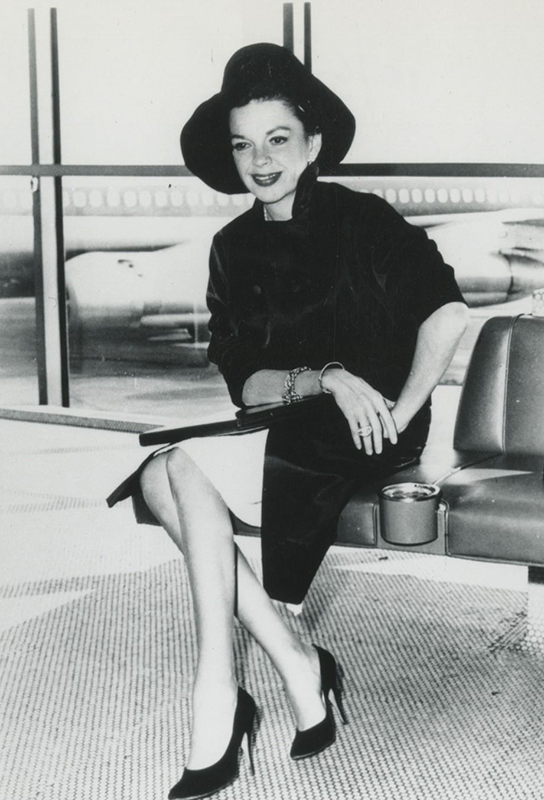 Also on this day, Judy took a week in New York for meeting with CBS about the series as well as for interviews to promote the show. She was back in California by October 28 to begin rehearsals on the show’s next episode. 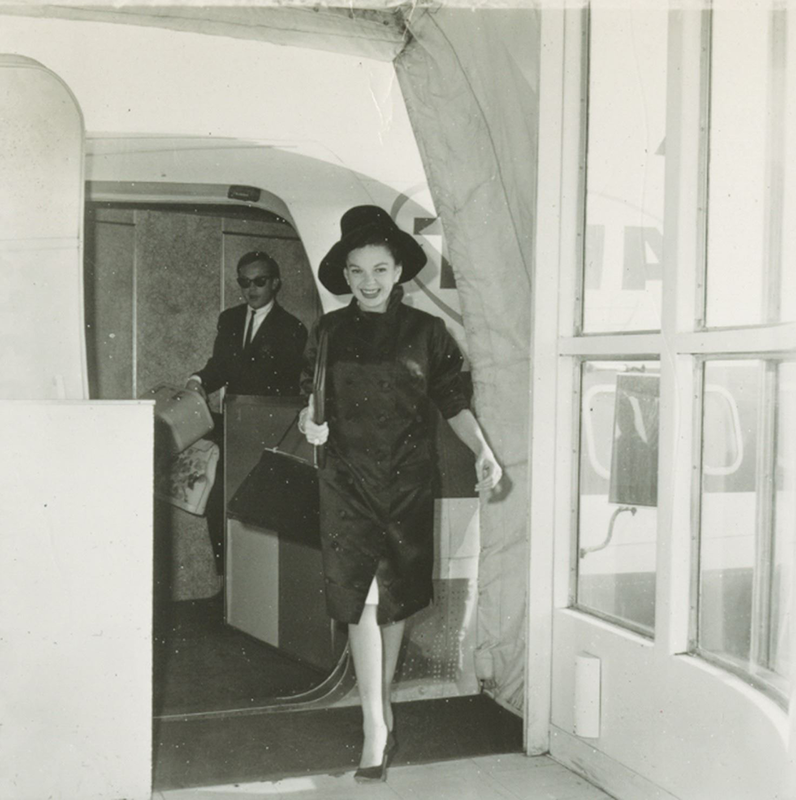 October 19, 1963: These photos were taken of Judy at New York’s Idlewood airport (soon to be renamed John F. Kennedy – JFK – airport) upon her arrival from Los Angeles. 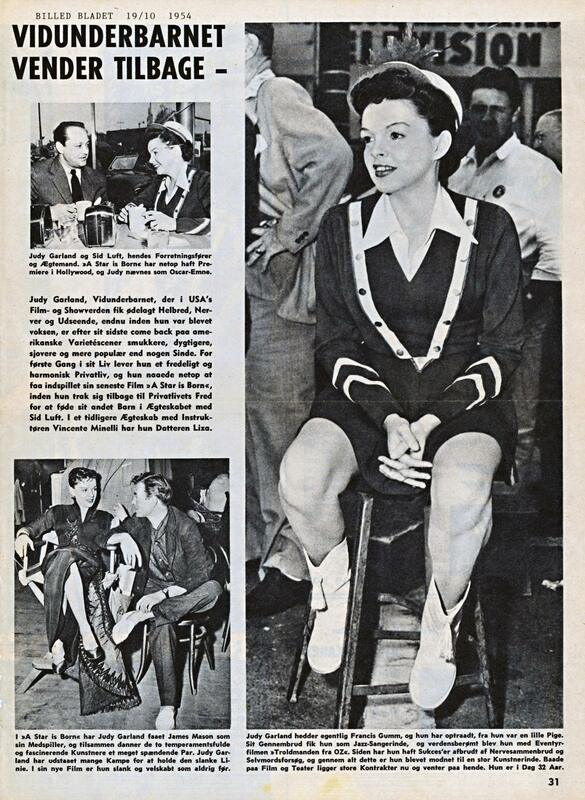 Judy was in New York to meet with CBS executives about her TV series.